Mr Duffin always purchases 100% Arabica Speciality Coffee Beans from reputable importers. Speciality Coffee is a term used to describe coffee which scores 80 points or above on a 100 point grading scale called Cupping.The coffee is of high quality with little or no defects. The unique flavours and tastes are representative of its origins, variety, growing and processing practises. What is a reputable importer? Check out Freeman Solar short film – amazing!!! These importers work directly with the farmers and want to reward them for their high quality coffee production. This means that the farmer and his family, the communities and their environment are all empowered to be able to improve their wellbeing. 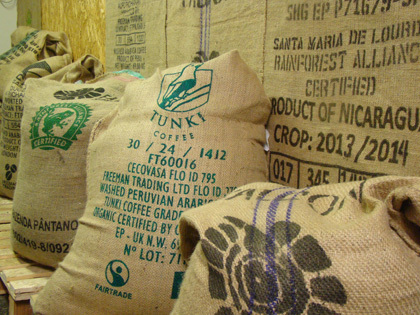 Examples of organisations who work with coffee farmers that have ethical and sustainable policies in place are:Rain Forest Alliance,UTZ Certified,Fair Trade and Organic.